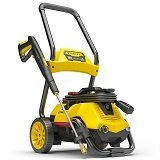 One great thing about the Karcher K3 Follow-Me Pressure Washer is that the durable front casters make it so that all sorts of weather and damage can be withstood. This certainly helps from you having to worry about it going out of order (like other products would). 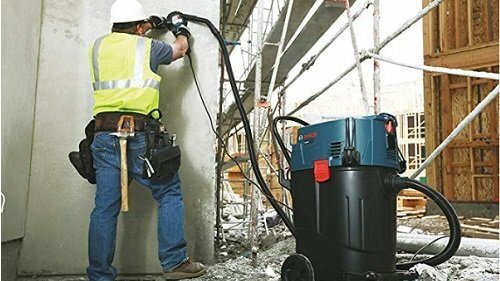 Also, the fact that the wheels are oversized in the rear means that it can maneuver so much easier than other electric pressure washers, which makes your job so much easier. 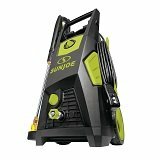 There are also other pressure washers that are so ridiculously loud that it annoys your neighbors. 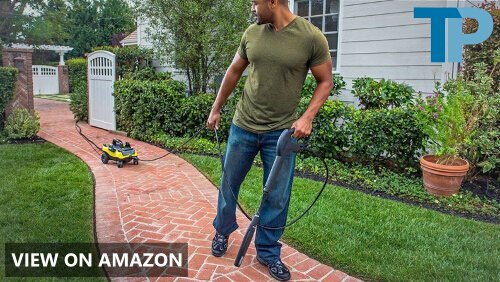 Luckily, the Karcher K3 is quiet, which makes it a lot more convenient to work without disturbing the neighborhood. You also can put your headphones in and listen to some music without it being completely interrupted! It’s ridiculously easy to use, and it’s called “follow me” for a reason! 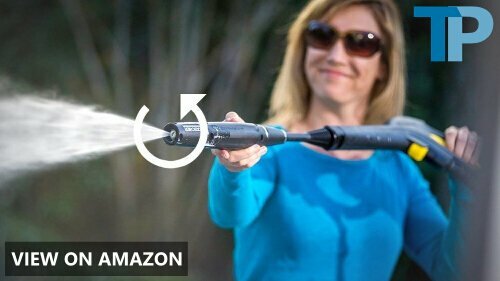 All it takes is a gentle hose pull, and boom, it will follow you around easily! 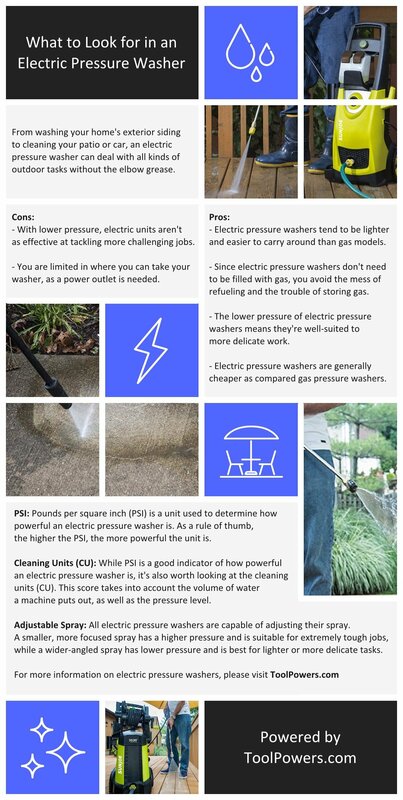 This means a lot because there are pressure washers out there that are such a pain when it comes to actually move it around. It can move on cement, grass, anything! This certainly makes it a lot easier to use, and puts your mind to rest, because you don’t have to worry about it getting stuck. 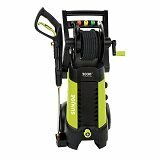 This electric pressure washer is also pretty portable! 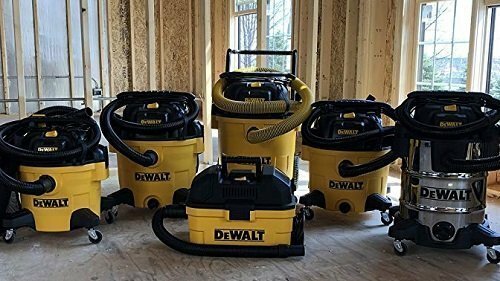 You can let family and friends borrow the unit, which isn’t possible with any old pressure washer. Others can be way too bulky and heavy to lug around! You can even trade out with your neighbors for some tools or appliances that you need from them, which helps to foster a sense of community. It’s always good knowing that you can take a trusty tool on the road, rather than it be confined to the house. The long electrical cord also makes it so that you can move around a lot better, as well. The unit also doesn’t tip over, which is the main complaint when it comes to many other pressure washers. Next, this thing can clean ANYTHING! When your lawnmower gets way too dirty to take out, use your Karcher K3. 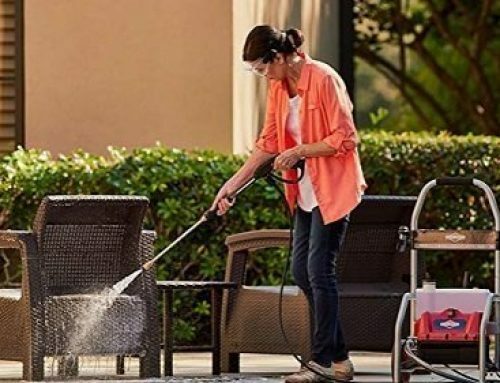 When your patio furniture clearly needed to be washed, you can use your K3. Even when you have to clean your RV, you can use your rusty K3! 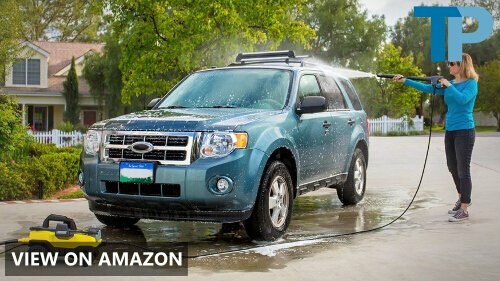 The fact that you can use it to clean so many different things is really how we know that the purchase is a good one. 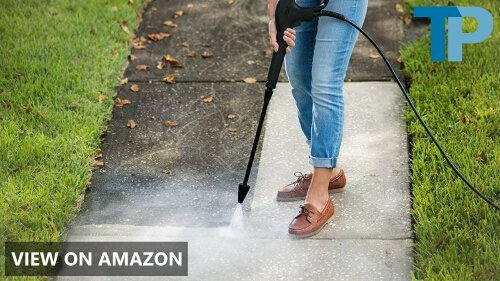 It can work for so many purposes, whether you are trying to clean your deck or make sure that your driveway is spotless. Sure, it’s portable and easy to use, but that doesn’t mean that this thing isn’t packed full with power! 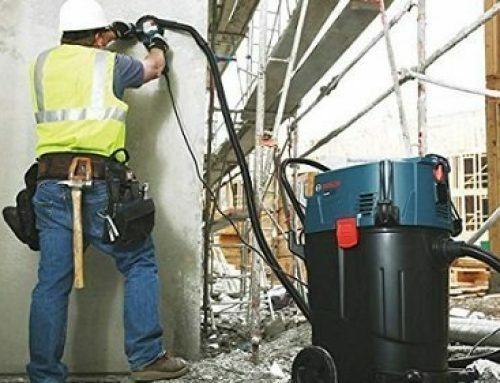 You can also scale and customize the pressure depending on the job. 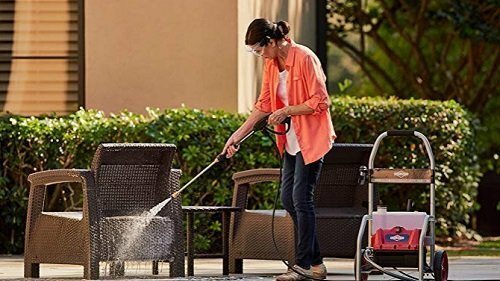 This way, you can rinse furniture without completely pressure washing it, and you can wash a deck while still making sure that the wood is intact. The fact that you can customize the pressure this much will certainly have you wanting to wash things that you didn’t even think of washing, just for the pure fun of it all. Every once in a while, you purchase something without expecting much, only to find that the product has more uses for it than you really thought. 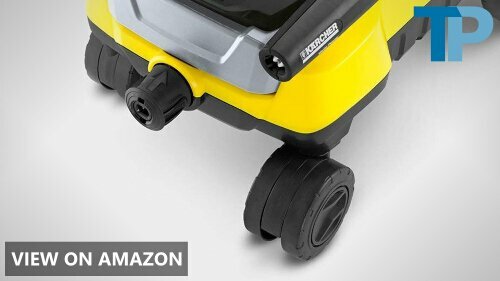 That’s the kind of product that the Karcher K3 Follow Me is. It really is great for so many reasons, because it works effectively, while still being portable and customizable. It also doesn’t tip over and remains quiet, which is great for cleaning at times when others are sleeping. Everything works perfect, and you can tell that a lot of thought was put into its design so that it is as user-friendly as possible. The PowerSpray Wand and Dirtblaster Wand come in hand and help to guide you to make sure that you aren’t damaging anything because obviously, that’s the last thing you want to happen. 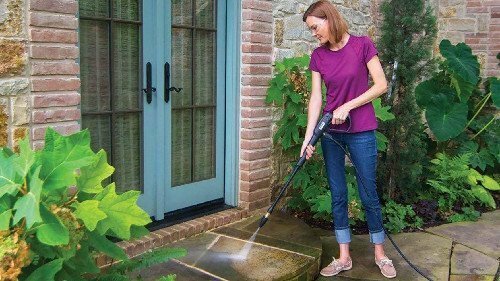 If you get an extension wand, it’s great for cleaning all of those hard to reach places, too, like gutters, or large vehicles. 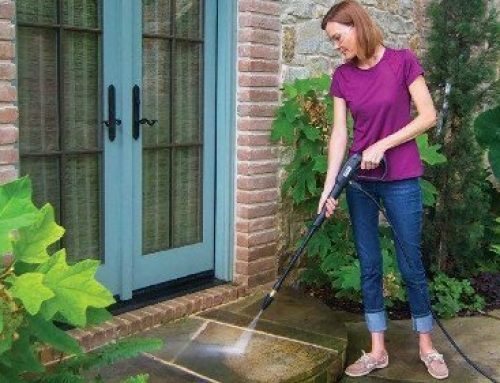 It doesn’t matter whether you are thinking of cleaning furniture, boats, cars, driveways – the Karcher K3 Follow-Me Pressure Washer can do it! 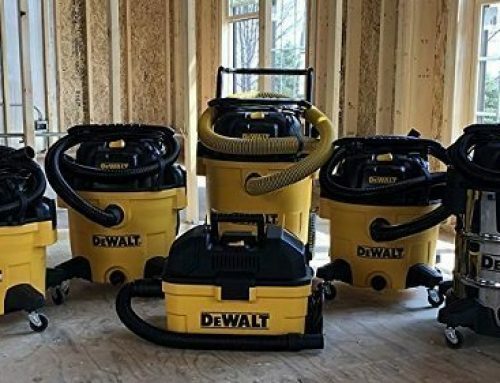 When it comes to household jobs, this is the kind of tool that you will keep around, love, and use for years.